Aishwarya Rai Cannes 2016 pictures are all over the internet! I loved her dark lips though I wonder if I would ever try purple lip color! L'Oreal Paris recently launched a new collection and one of them is Mega lip gloss that belongs to the cream finish category. If you are the one who do not like wearing shimmery lip glosses then you are at the right place. I always incline towards cream lip glosses as opposed to the shimmery ones. The lip glosses come in various shades and today I am going to review L'Oreal Infallible Cream Mega Lip Gloss in Who's The Boss*. It costs Rs 850 and you can BUY ONLINE AT A DISCOUNT PRICE HERE. I liked the shade name! The formula of L'Oreal Infallible Cream Mega Lip Gloss is enriched with hyaluronic acid and shine colour pigments that leave your lips hydrated and glossy without stickiness. The packaging of the lip gloss is elegant and has a glossy finish. The "cream" tag is mentioned over the tube so you know which category of the range your gloss belongs to! The applicator is not just any doe shaped applicator but has a slight contour that allows you to apply gloss even at the smallest corner of your lips. The applicator is soft and picks the right quantity of the lip gloss! Who's The Boss is a dark plum color with pink hues. It is definitely a bold color that instantly brightens up the face. I prefer to do neutral eye makeup whenever I wear this lip color. It is a perfect fall color and would look flattering on all skin tones. It has soft and smooth formula and glides easily on lips. It is very moisturizing and you do not need a lip balm underneath. As the shade is quite dark, it stays put on my lips for a good 5-6 hours with drinking and eating. It leaves a pink hint behind if you take heavy meals but it does not disappear fully. It has creamy and glossy finish with no shimmers! - Has creamy yet glossy finish! L'Oreal Infallible Cream Mega Lip Gloss is a moisturizing and pigmented lip gloss. 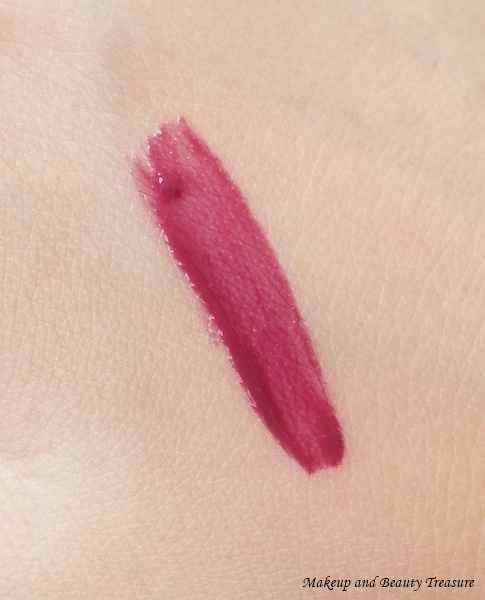 It has creamy finish so if you are not fond of shimmery glosses then you can go for it. 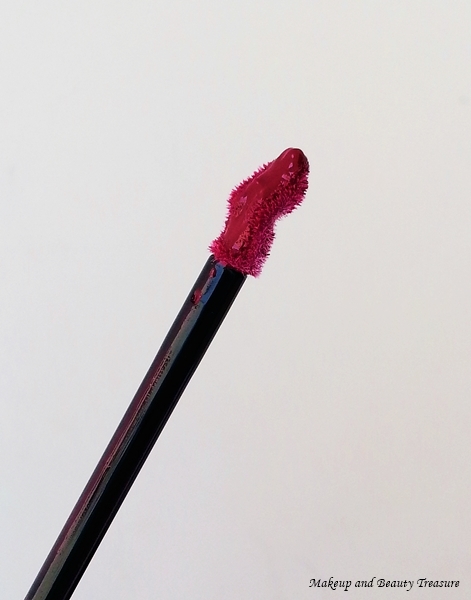 Who's the Boss is a gorgeous bold plum color that has great staying power and would suit all Indian skin tones. I would happily recommend it to everyone! - Who's The Boss would look great with traditional dresses or for a night party. - Though it is a long lasting lip gloss but always carry it with you in case you need reapplication. - Wipe the applicator after every use! Have you tried L'Oreal Infallible Cream Mega Lip Gloss? Would you try them?